The family of a 27-year-old British Army officer who died of cancer in November (2012) have called for an investigation into the brainwashing tactics of a group who claimed they could cure her cancer. Leaders of Innersound, who have a clinic in London and are recognized as a cult by UK experts, dissuaded Naima Mohamed from having the chemotherapy that could have saved her life. Innersound ‘masters’ claimed she would recover from their meditation and therapy alone, and that chemotherapy was poison. The Sandhurst-trained officer rejected chemotherapy and all other NHS treatments in January 2011. She handed over more than £15k to Innersound, but then the cancer spread to her sternum and lungs. Naima was told in July last year by hospital doctors her family persuaded her to see that she had around two years to live, but she died in a hospice near her family in Poole just four months later. Naima’s Moroccan-born father Ben Mohamed, 68, wept as he told last week “Naima was totally under the spell of those so called masters, and she kept saying they knew how to cure her, that she would be OK. There needs to be an investigation into what they are doing. They are telling very sick people they can cure them and it’s just rubbish. It’s just a shame my daughter didn’t realize this sooner, when she could have had life saving treatment. They made her believe chemotherapy was poison that would harm her body not cure it. At the end of her life Naima said to me ‘I’m so sorry dad. I was wrong’. Something needs to happen to stop them doing this to others.” Naima’s distraught mother Saida has been staying with relatives in France since the funeral on 18th November. Naima’s grandfather Thomas Philips, a British man who was in the Navy said “I too would like to see an investigation. Naima kept taking me to the clinic, convinced their massages would cure my arthritis and heart trouble. They encourage clients to bring relatives for treatments. It wasn’t magical or miraculous, just expensive massage, and Naima was very struck with them. I suppose she was brainwashed, but it was hard to reach that conclusion there as the masters all seemed so genuine and kind. Naima kept saying ‘they are taking the badness out of me granddad, and you have to believe it. '” Mr Philips says Innersound were ‘bleeding Naima dry’ and she often asked him for loans to pay for her treatments. The Innersound Foundation, just off Harley Street and formerly known as Ki Health, told Naima that their Master Oh (photo left) had cured himself of cancer and said he could cure hers. The enrobed South Korean leader said she would recover through ‘ancestral healing’ which gets rid of ancestors’ ‘bad energy’ to heal their troubled successors living in the present. Naima, who grew up in Winchester, paid £9,000 for ancestral healing and parted with another £7,000 for other oriental therapies including meditation, chanting and to pay for for elaborate ceremonies. Patients are made to belch and hiss in the belief this will get rid of the ‘bad energy’ that is making them sick. Cult expert lawyer Claire Kirby helped Naima last year get a £12k refund from Innersound, who say they repaid the money out of compassion and accept no liability for Naima’s then failing heath. Innersound’s therapies use techniques derived from those used by a South Korean couple jailed in 2000 for conning their followers out of £44 million. 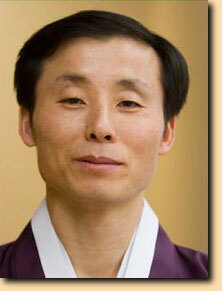 Mo Haeng Yong and Park Gui Dal were imprisoned in Seoul for 8 and 5 years respectively. Innersound deny associations with the couple, although they have visited them in the UK. Ki Health were forced to change their name to Innersound after being exposed by a British newspaper in 2008. They now are alls using the name Qi Wellness. Frequent name-changing is routine among cults who want to distance themselves from negative publicity and law enforcement. The UK anti-cult movement is lobbying the Charity Commission for it to withdraw Innersound’s charitable status. « Is Keith Raniere trying to re-brand his business with a new name? practice of brainwashing people and killing them or ruining their lives. They have to be stopped,they have to be prosecuted. Please contact me if I an be of any help. I have a sister who has joined this Cult.She’s been in it for quite a few years.They definitely are a bunch of crooks with has much spiritual powers has a paper bag. protected through solicitors so they can’t get at any money after he dies.